The first matchweek of the World Cup has come and gone, with eight Manchester United players seeing the field to start the tournament. Here is how they all opened up their respective campaigns with their countries. David De Gea was the first Red Devil to feature at the tournament, getting the start in the Spanish goal for their game against Portugal. It was a nightmare start, as the United goalkeeper was picking the ball out of his own net within five minutes. There was nothing he could have done to prevent the goal, as Ronaldo smashed a penalty into the upper corner. Things would only get worse for De Gea, who committed one of the biggest mistakes in his career. Ronaldo hit a tame effort at the Spanish goal, which was headed right for the goalkeeper. De Gea went to make the routine save, but had his feet set incorrectly. The ball hit off him, and rolled into the back of the net, much to the shock of everyone watching the contest. It seemed like he would be able to get away with the error, as Spain would take the lead, but Portugal were able to equalize late. There was nothing De Gea could’ve done about the final goal, as Ronaldo completed his hat trick after smashing a free kick over the wall and into the corner of the net. It might’ve not been the best game for Spain and De Gea, but they still control their own destiny, and should still top the group at the end of the day. Paul Pogba got off to an ideal start to his World Cup campaign, picking up the man of the match award in France’s 2-1 victory over Australia. It was a difficult contest for the European finalists, who had a hard time breaking down their opponents. Pogba played a part in creating the first goal, when he played Griezmann in behind with a perfectly weighted through. The Atletico Madrid man was taken down in the box, awarded a penalty, and converted the following spot kick. Pogba would go on to grab the winner, after the Australians equalized with a penalty of their own. The United midfielder ran a quick give and go with Olivier Giroud at the top of the penalty area. When he received the ball back, Pogba went for the audacious chip. The effort took a deflection off an Australian defender, flew over keeper Matthew Ryan, hit the underside of the crossbar, and just about crossed the goal line. (The goal has since been ruled an own goal.) It was a big time performance from Pogba, who was already under immense pressure. There were some calling for him to be benched, but Pogba proved he is an integral part of the France setup, who can carry the nation to World Cup glory. Marcos Rojo got the start at centerback for Argentina, playing the full 90 minutes in their draw to Iceland. Rojo had a fine game, with some highlights and lowlights. He was tested early on, when Iceland lumped a long ball in behind. He poorly dealt with the situation, losing possession and having to be bailed out by his goalkeeper. Rojo would soon rebound from the error, and provide the assist on the goal that gave Argentina the lead. Rojo picked up the ball on the top of the box, and went for a long shot. His effort fell right to the feet of Aguero, who turned and blasted a shot past the Icelandic goalkeeper. However, Rojo could not prevent Iceland from grabbing a quick equalizer, as he was on the other side of the pitch when a rebound fell to Finnbogason, who tapped in from close range. Rojo did not much have to do for the rest of the contest, as Argentina dominated possession. A decent enough start, and Rojo should retain his starting spot for the country’s next game against Croatia. Nemanja Matic performed a similar role on Sunday to the one he had fulfilled the past season with Manchester United. Played at his preferred defensive midfielder position, Matic mostly stayed back on defense, allowing his more forward thinking teammates the freedom to go further up the pitch. His physicality and strength prevented the Costa Rican defense from winning any loose balls in the middle of the park, which made it easy for Serbia to control the tempo of the game. They would take the lead through a banger of a free kick from Kolarov, and would hold on to secure the three points. Matic got involved in a late scrap, when he tried to rip the ball away from the Costa Rican manager. The benches rose, and crowded Matic, who was able to get away with just a warning. Fred was an unused substitute for Brazil, as he was unable to fully recover from injury in time for the country’s 1-1 draw to Switzerland. Victor Lindelöf was forced to miss Sweden’s opening game of the tournament, as an illness keep him out of the side. His teammates were able to get the job done in his absence, picking up a 1-0 win against South Korea. Marouane Fellaini was an unused substitute in Belgium’s 3-0 victory over Panama. Romelu Lukaku did feature in that game for Belgium, and was named man of the match after scoring twice and leading his country to a comfortable victory. It was a shaky start for the favorites, who went into the half still tied at 0-0. They would break the deadlock early in the second half through Dries Mertens, whose volley flew into the corner. Lukaku would get involved in the scoring, doubling Belgians advantage in the 69th minute. De Bruyne picked out the United striker with a delectable cross, and Lukaku rose highest to head home from close range. Lukaku would grab his second on the counter attack fifteen minutes from time, after Eden Hazard played him through on goal. Lukaku got to the ball first, and dinked it over the onrushing Panamanian goalkeeper. 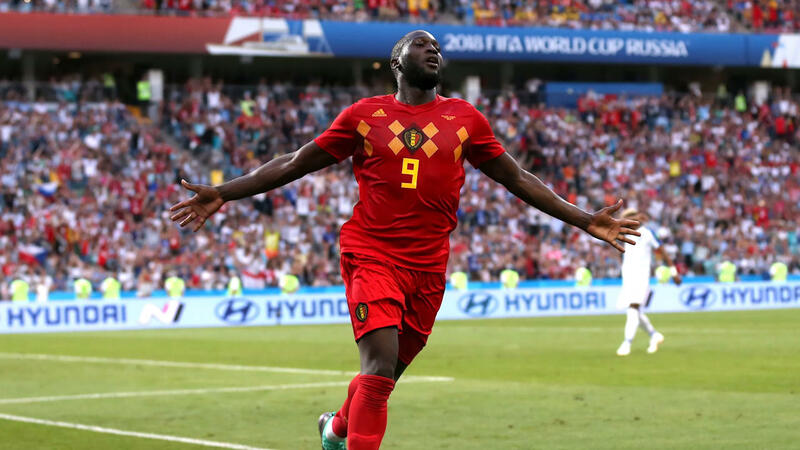 It was a quality start to Lukaku’s World Cup, and put him right in the thick of the Golden Boot race. Phil Jones was an unused substitute in England’s 2-1 win over Tunisia. Ashley Young got a surprise start at the left wing back position for the three lions, getting the start ahead of Spurs defender Danny Rose. It was a decision with the opposition in mind, as England manager Gareth Southgate realized that his side would dominate possession. Young, who started his career as a winger, was chosen for his attacking ability. The call was justified, as the United man had a solid, if unspectacular, outing. Young was a constant danger out wide, cutting inside and whipping in crosses into the penalty area. None of those lead to goals, but the Tunisian defense was always on their toes. As Panama will play as defensively as Tunisia, it seems likely Young will get another start, and another chance to prove he should be the starter for the rest of the tournament. Jesse Lingard also got the start for England, coming in alongside Jordan Henderson and Dele Alli in the midfield. He had a much tougher outing, but was able to go full 90 minutes before being subbed out for Eric Dier. Lingard would make his trademark runs in behind, opening up space for his fellow teammates. A chance fell to him two minutes into the contest, but his shot was deflected, and then saved. Lingard would get another opportunity after England took the lead through Harry Kane. Young picked out Lingard at the far post, but his volley was scuffed, and flew wide of the target. He would get one final chance right before the end of the first half, getting onto a trough ball, and chipping the Tunisian keeper from a tight angle. His effort nicked the post, and bounced wide of the goal. His second half was less eventful, as England had a tough time breaking down a compact Tunisian side, and only scored the winner on a last minute corner. It is unclear if Lingard will get another start against Panama, as there is plenty of competition in the England midfield. Marcus Rashford was England’s first substitution of the match, coming in for Raheem Sterling in the 69th minute. He had an immediate impact, adding another dynamic to the England attack. Rashford picked up the ball, and looked to attack his marker on the dribble. He wasn’t able to do to much, as Tunisia’s defense allowed him no space to run behind. Rashford’s chances will come, especially in games where England will play on the counter attack.